Jeroen van der Klis owner of Bizarre Design in his original atelier in Amsterdam, NL--Cathie wearing a corset of his design and construction. Cathie having a full length body model made of plaster by sculptor Kurt Ingerl in his studio outside of Vienna, Austria. He is aided by his wife, textile designer Christa Cebis. Cathie with Michael Garrod of True Grace Corsets in the garden of his home in England. Cathie with Mr. Pearl corsetiere and designer who was working for Thierry Mugler at that time--on a street in London. Cathie sitting with corsetiere Diana Medeq in her home in England. She has retired from corset making but remains a dear friend to this day. Cathie on a beach in the Bahamas. Cathie on her balcony overlooking the sound in NC. She is wearing a reproduction of a Victorian gown. 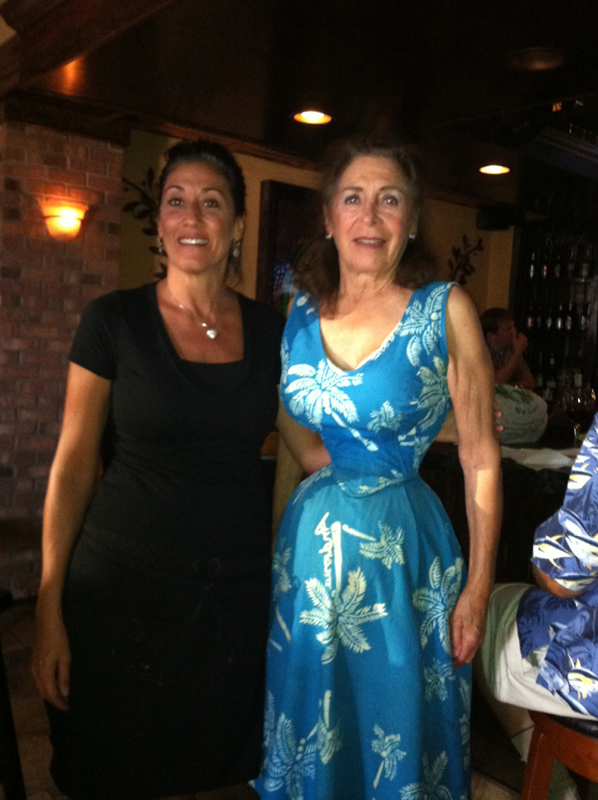 Cathie Jung is listed in the Guinness Book of World Records as having the smallest waist on a living person. At 73 years old, her waist is 15 inches around. 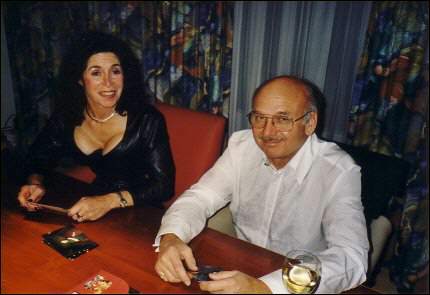 We were pleasantly surprised when we could welcome Cathie and Bob Jung in Amsterdam from the 15th till the 20th of December 2000. Bob had been invited to Berlin with some colleagues for a medical congress. Cathie in the Lorreinen restaurant in Amsterdam Cathie in a corset of Madame Diane Medeq with a waist size of 38 cm. Cathie in all her splendor tattooed on Bob's body. We have already published a lot about Cathie and Bob. Nevertheless each time there are interesting new facts to be mentioned. Cathie still has her fascinating waist of 38 cm. (15 inches). It's common knowledge that Cathie wears her corset day and night except when she takes a bath. That Cathie fascinates Bob by her waist is not a secret. To show his admiration Bob has decided to do something very special. To have his corseted wife with him day and night, he has put a tattoo on his left upper leg. 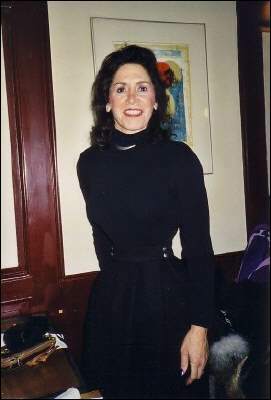 The tattoo shows Cathie in a black satin corset, manufactured by Madame Medeq. Cathie is wearing black stockings, knee-length boots and gloves. The result is brilliant and we can say the tattoo is unique. At their arrival on Schiphol from Germany there was initially a considerable problem. At checking in, in Germany, luggage is kept separate because something might be wrong with the contents of the suitcases. Because Cathie always takes along a large collection of corsets in her luggage, it is not surprising that at the luggage inspection site the warning bells rang when their luggage was scanned. The same thing happened when Cathie walked through the control gates. Cathie and Bob were allowed to pass through the control gates after if was clear that their carry-on luggage contained nothing dangerous. However the trunks with the corsets of Cathie stayed at the airport in Germany. Consequently they arrived in the Netherlands with only their hand luggage. Fortunately their other luggage was delivered the next day in Amsterdam. Loss of this luggage would have been a real disaster. Her corsets are mostly unique pieces. Cathie making a telephone call. Amsterdam had been already decorated with beautiful Christmas scenery, which gave an extra cachet to their stay in the capital. We also visited the delicious Stoop restaurant in the Jordan district in Amsterdam. The Cover, CB 25 July 2001. Cathie Jung in black and white. The editors are very happy to be able to let you enjoy Cathie Jung in a series of photos taken in black and white. To the loyal readers of the Corsetletter, Cathie and Bob Jung are no strangers. In November this year, you will have your chance to meet them personally at the 16th 'Bal des Gracieuses', held in Neuss (Germany). Website statistics show that Cathie is quite popular.